Political, economic and weather issues occur every day all over the world that cause the prices of commodities to move higher and lower. There are many opportunities to take advantage of volatility in commodities markets, but only a select number of these assets are available for direct investment. There are roughly 30 different commodities that are available for trading on the U.S. commodity exchanges. 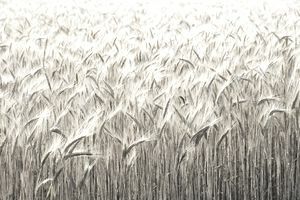 Some commodities, like wheat, have been actively trading for more than 100 years. Other commodities disappeared from exchanges because they could not attract enough trading interest. At the same time, others gained utility making them candidates for liquid trading instruments. These days there are two major futures exchanges in the U.S: The CME Group and ICE Futures. The CME Group has been around the longest and is the result of a merger between the Chicago Mercantile Exchange and the Chicago Board of Trade. The CME acquired the New York Mercantile Exchange (NYMEX), the New York Commodities Exchange (COMEX) and many other smaller exchanges over recent years. The CME trades grains, livestock, financial products, metals, and energy markets. The ICE Futures Exchange trades the energy, soft commodities markets, and other commodities, financial products and equities as they own the New York Stock Exchange. After starting in over-the-counter energy, ICE Futures bought the New York Board of Trade (NYBOT) as a way to get into the US futures markets. The NYBOT lists contracts on sugar, coffee, cocoa, cotton, and frozen concentrated orange juice. ICE has many other interests outside the US. It takes intimate knowledge of a commodity, including where to buy it and where to sell in order to make it a viable investment. The costs of physical trading can be extremely high, as they typically have to be bought in bulk at the wholesale level. Commodity futures allow an investor or trader to take long and short positions by posting a small amount of futures margin to control a large amount of a commodity. The margin is a good-faith deposit on the value of a futures contract. The futures contracts of commodities listed on an exchange are standardized which makes them liquid trading instruments. One can buy or sell futures contracts any time the markets are open. The same is often not the case for investments in physical commodity markets. Corn, soybeans, wheat, oats, rice, soybean oil, soybean meal, live cattle, feeder cattle, lean hogs, crude oil, heating oil, unleaded gas (RBOB), natural gas, ethanol, gold, silver, platinum, palladium, copper, cocoa, coffee, sugar, milk, cotton, orange juice, and lumber. There are numerous other financial futures that trade on exchanges and there are still other miscellaneous commodities that trade with very low volume. There are also many other commodities that trade on commodity exchanges around the world. Many commodities that are key exports of a particular country are likely to trade on that nation's commodity exchange because of the need for hedging or locking in the price for future delivery. There must be an economic reason to list a commodity on an exchange. The economic reasons tend to be hedging by producers or consumers of the raw material. There are also other ways to invest in many commodities. The equity markets offer commodity-based instruments that attempt to replicate the price action in commodities. These products are called ETFs or ETNs. The equity markets also offer shares in companies that are producers of many commodities around the world that list for capital raising purposes. However, commodity-related stocks are not a pure play on a commodity, they are an investment in a company that has an interest in a particular commodity or commodities and the direct risk is in the company's production and other factors rather than the commodity. There are many factors that can affect the price of a stock, that stock may or may not be well correlated with the price action in the commodity it represents.